Double headers were rare on the relatively flat Chabuga - Tongliao section. QJ 6998 was going for an overhaul when it was photographed at Chabuga in the company of DF4 0544 on 7 December 2003. 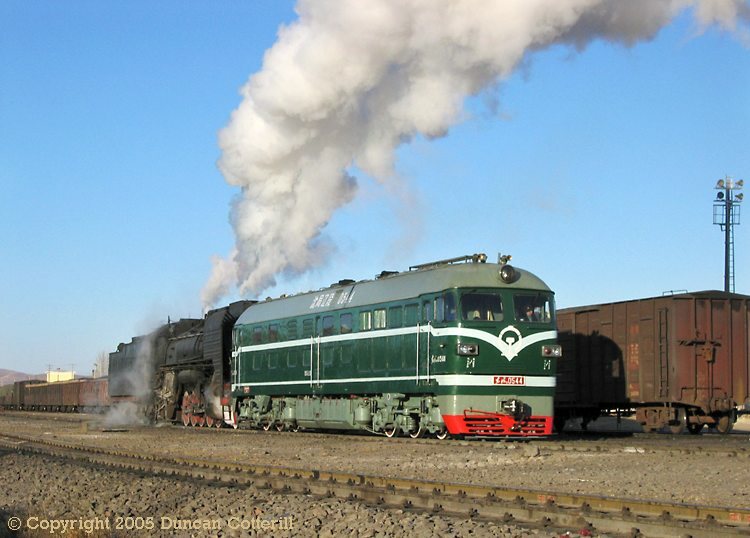 The pair would leave shortly afterwards with a freight for Tongliao.